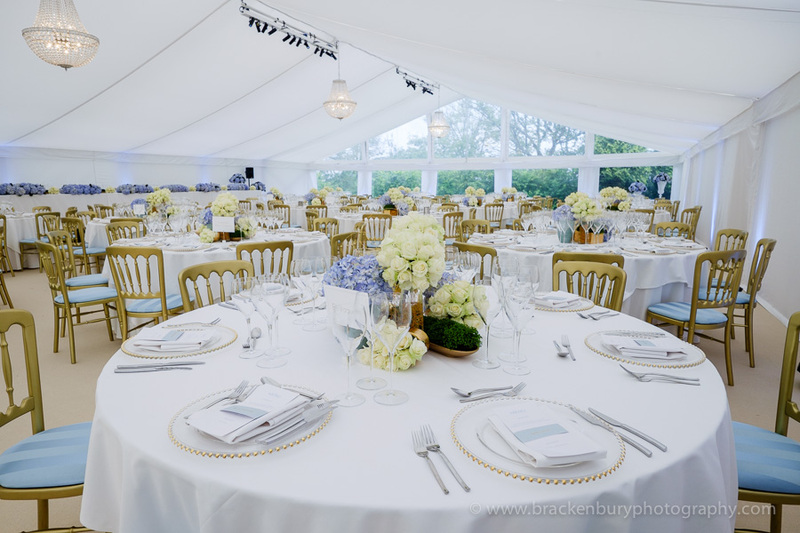 Wedding reception for around 200 people with marquees being used for reception drinks, wedding breakfast, dancing and evening party. 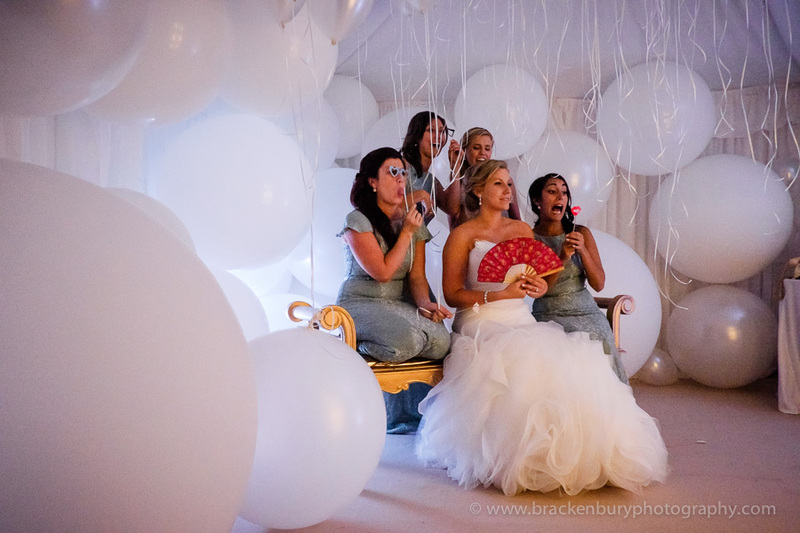 In addition to space for the reception and dining, separate areas were required for the wedding photos, photo booth, cloakroom area for ladies and gents loos and kitchen area for the caterers. 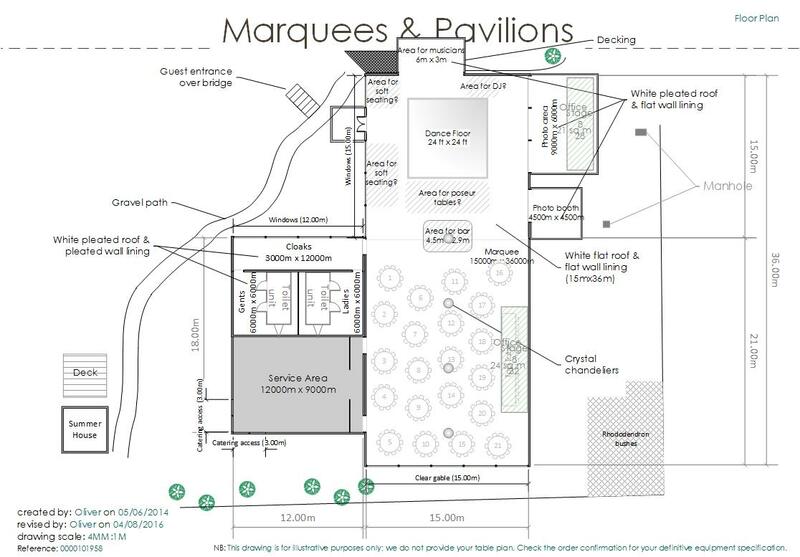 There was a large, flat lawn available, so we used a selection of adjoining structures, to the main marquee, to create all the additional spaces required by the client. The loos were built in to the cloakroom area, with a connecting corridor to the dining area, so that everything was contained under cover. Although the lawn area was generous, there was restricted access along the side of the property. We brought in a forklift for the duration of the build so that vehicles could be unloaded at the front and equipment transported to the installation team on the lawn at the rear of the house. There was a irrigation system under the lawn which was identified by the client in advance so that we did not cause any damage when anchoring the structures with ground stakes. 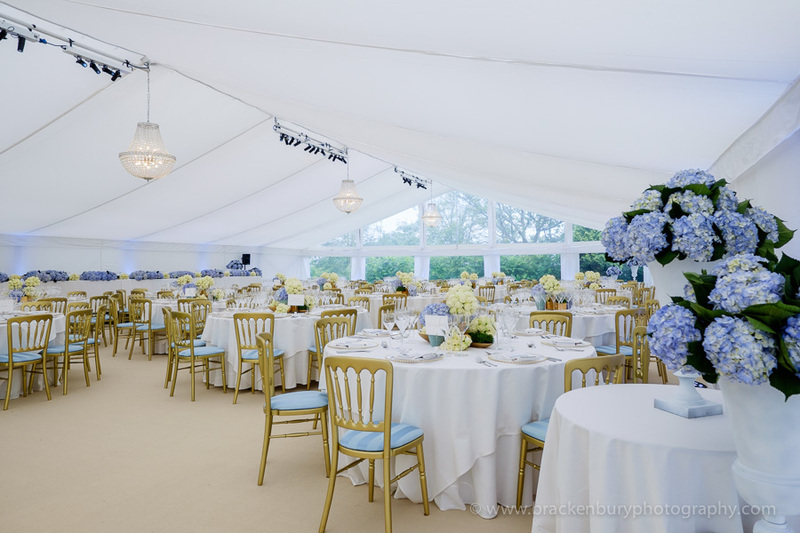 Ginny Loisel Events were the overall event mangers and also arranged flowers, furniture, dance floor, DJ and band. The caterers were Cavendish Events.